You’ve decided it’s time to begin to look for a new car. Maybe a used one. Maybe you’ll lease this time. With all these options – and so many models and brands – when you narrow down your choices, now the real business begins: what car dealerships to go to. Read below to get real tips on how to save time and put yourself in the best position to have a great dealership experience and get a good deal. Yes, both are possible! For starters, consider the best place to find one is in the comfort of your own home or office at your computer, laptop or IPad, or smart phone. No need to limit yourself anymore to the dealership where you always serviced your car or where your “partner, husband or father” knows the dealer. Today’s Internet capabilities are unprecedented, particularly in the way we communicate with one another and the technological advances enabling you to access information are more sophisticated, and more user-friendly than ever. In their latest automotive survey, J.D. Power & Associates found that nearly 80% of new car buyers, the majority of which were women, used the Internet to car shop, and a third of them consulted online rating/review sites to select a dealer. The best two places to look for a car are the auto manufacturer’s website and the dealership’s website. No matter where you live or where you’re moving to, no matter what kind of car you want or need, you can find the best in car reviews on these two popular sites. J.D. Power & Associates is a very reputable website with a lot of online integrity. It employs Power Circle Ratings on all makes and models of cars including cars no longer being manufactured, like Pontiac, Saturn and Suzuki. Car reviews are detailed and extensive. These are all consumer-friendly ratings based on the latest J.D. Power Research. However, when you click on “What Owners Say”, customer reviews are only one or two sentences long and all about the cars features. Popular and highly frequented website for car buyers, Edmund’s car reviews are well organized and easy to read. All makes and models of cars are star-rated on a scale of one to five. Two types of reviews are scored – one for sales and one for service. Now that you’ve done your research and know what car model(s) will work best for you, it’s time for the validating test drive and what dealership(s) to go to. So, let’s take a closer look at these car dealer review sites, what they are about and how they assist car buyers. The largest car dealer review site, Dealerrater.com is a highly recommended rating site and very user friendly. Web design is simple, clean and easy to navigate. The Home Page takes you right to dealer reviews. Click on “Manufacturers”. Enter the zip code where you live. All reviews will be displayed. New and used car sales and service centers rated numerically over a 24-month period. Number of lifetime reviews written about each dealership is highlighted. Click “Read Reviews” on the navigation bar. Enter dealer’s name and zipcode. All reviews will pop up accompanied by a dealer response. These reviews are very up to date, sales consultants are rated by name and you can even indicate if the reviews helped you in evaluating the dealership. A one-of-a-kind website designed by women for women. Consumers rate their browsing, purchasing and servicing experience at car dealers nationwide on Women-Drivers.com. Home Page directs you to read or write a review. Click which icon is applicable. Enter the zipcode where you live and the brand of interest. Dealer results appear with ratings for browsing, purchasing, servicing and overall experience. 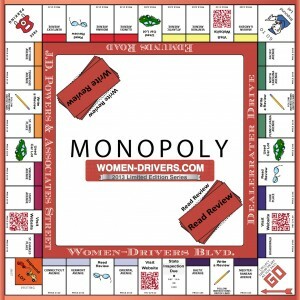 Dealers are designated as “Certified Women-Drivers™ Friendly” when they reach and attain an aggregate score of 4.0 or higher. These ratings are timely, probative and specifically reflect a woman’s perspective on the whole car-buying experience at each dealership. ‘Browsing’ is a key component to your car-buying experience; use your visit as an opportunity to evaluate the dealership first-hand. Walk through the entire place and take good mental snapshots, then use this 10-point checklist as a guide to help you rate them. How many women salespeople do I see in the showroom? How many female service advisors do I see in the service area? <Is the waiting room comfortable and kid-friendly with TV & Wi-Fi? Can I have an overnight service vehicle if I can’t wait for my car? Do I get a free car wash every time I bring my car in to be serviced? Are their service hours convenient for me? Can I take the test-drive car home overnight? Can I have the email address & cell number for the GM & Sales Manager? Did anyone ask me to write a customer review? If you are like most women, you want to talk to dealers directly, openly and honestly about your car buying needs. How they interact with you – and, how well they listen, will probably determine, in great part, whether you buy from them and remain loyal to them once your purchase is complete. It’s all about communication. So share your experience friends and other women car buyers on Facebook, Twitter, and any other social media sites you frequent. Tell them about the salespeople you talked with, the customer service you received and the first impression you got when you walked into the dealership. How did you feel when you first walked into the dealership? What were the surroundings like? How were you treated by members of the entire staff? Can you recall the names of the people you talked to? Was your sales associate or service advisor friendly, knowledgeable and accommodating? If you bought a car, how did the negotiations go? What was the process like? Did you encounter any issues or problems with the dealership? How were they resolved? Would you recommend this dealership? Did you receive any follow up communication from them? Women now account for over half of all car purchases and they influence an estimated 80% of them. According to the National Institute for Automotive Service Excellence, women also make 65% of all automotive maintenance decisions. Your opinion matters. The insights and experiences you share with others, particularly other women, are invaluable to them but also to those who make and sell the cars you buy. Your car dealer reviews and survey responses are helping to change the landscape of a dealership as we know it today. They are also impacting decisions made by both manufacturers and dealers to change the way they do business. Use the buying power you have attained. Continue to let your voice be heard.